Shallow channels of water weave around sandy islands along the 310-mile course of the Platte River through Nebraska. The river carries snowmelt from the Rocky Mountains in Colorado and Wyoming to the Missouri River, which drains into the Mississippi. Early settlers referred to the Platte as the river that was a mile wide and an inch deep. While the Platte once spanned a mile, changes in the natural flow over the last century caused by reservoirs and irrigation channels have allowed vegetation to encroach, narrowing the river in places to a few hundred feet. Decreased water flow brings other changes along the Platte. 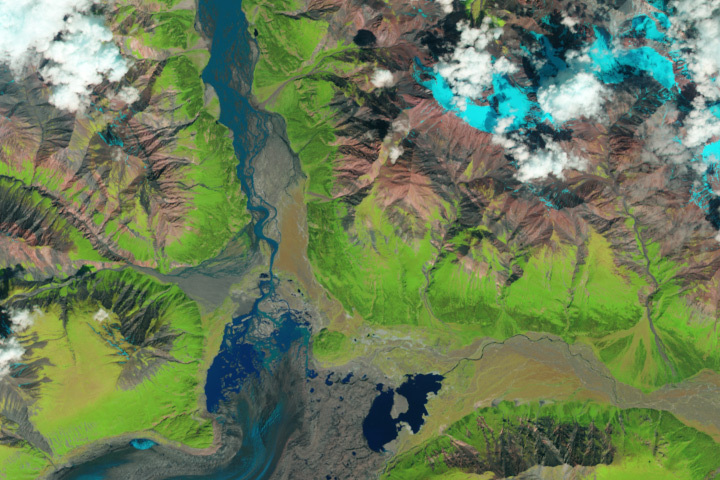 Flowing water shifts the sandbars, and if the flow changes, so does the way the sandbars move. While shifting sand may not seem important, the sand changes the path of water channels in the river, which affects flood risks, bank erosion, and the habitats of fish and other wildlife. The central Platte River is an important habitat for migratory birds and endangered whooping cranes, piping plovers, and least terns. The U.S. Department of the Interior and the states of Colorado, Nebraska, and Wyoming are developing a habitat recovery plan for these birds. A component of this plan focuses on increasing the water flow through the river and understanding the role of changing sandbars in the birds’ nesting and roosting habitat. To understand the sandbars, scientists need detailed information about the topography of the river bottom. Typically, scientists survey rivers using an echo sounder mounted on a boat. The Platte, however, is too shallow in many regions to use a boat. Measurements have to be made while wading into the river using backpack-mounted GPS equipment. 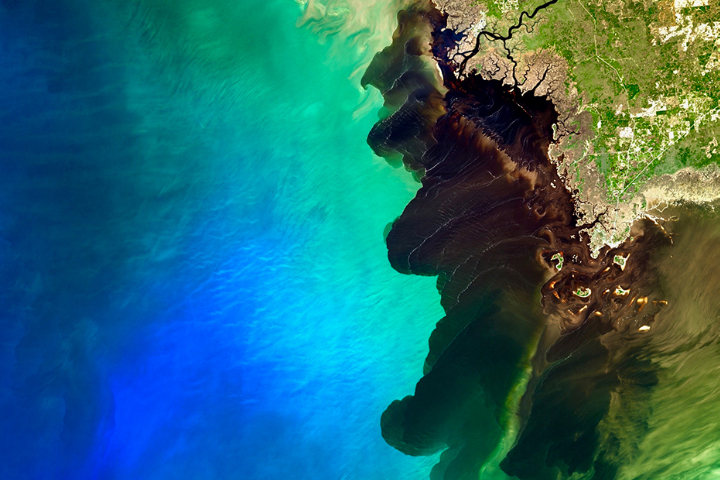 To collect these data more efficiently over longer river reaches, Paul Kinzel of the United States Geological Survey and Wayne Wright at NASA Wallops, are experimenting with NASA’s Experimental Advanced Airborne Research LiDAR (EAARL). EAARL bounces a laser off underwater surfaces and measures the return time to determine elevation in the same way that radar measures distance using microwaves. 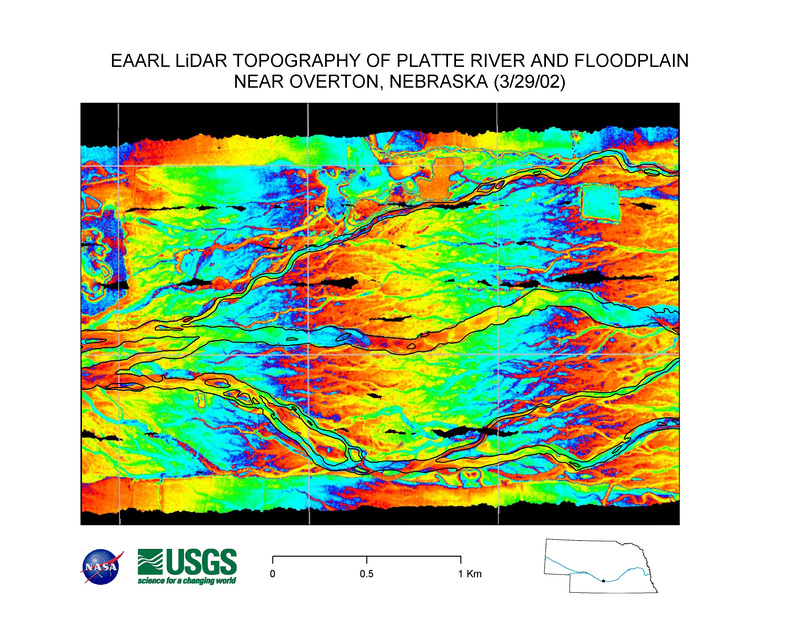 On March 29, 2002, they collected LiDAR data of the Platte River and floodplain near Overton, Nebraska. 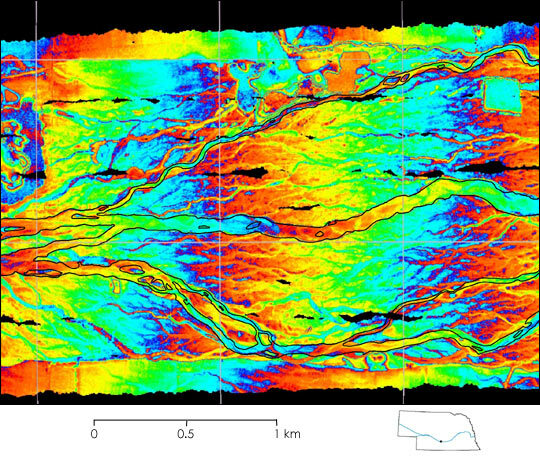 The image shows channels of water as ribbons of color. The present Platte River channel is shown outlined in black. The river flows downhill from west to east, so the west end is higher than the east. 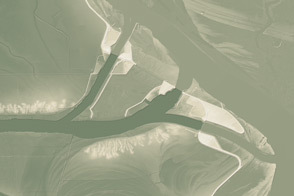 In order to show this elevation change as well as all of the subtle features of the river bottom, Wright “wrapped” the color bar. Starting on the east (right), blue is the lowest elevation going up to red, 3 meters above that. Then, blue begins to represent 3 meters and red, 6 meters, and so forth. The effect is a rainbow of color going from east to west. Sandbars appear as wider, more solid areas. The gridlines on this image mark out 1 square kilometer per box.